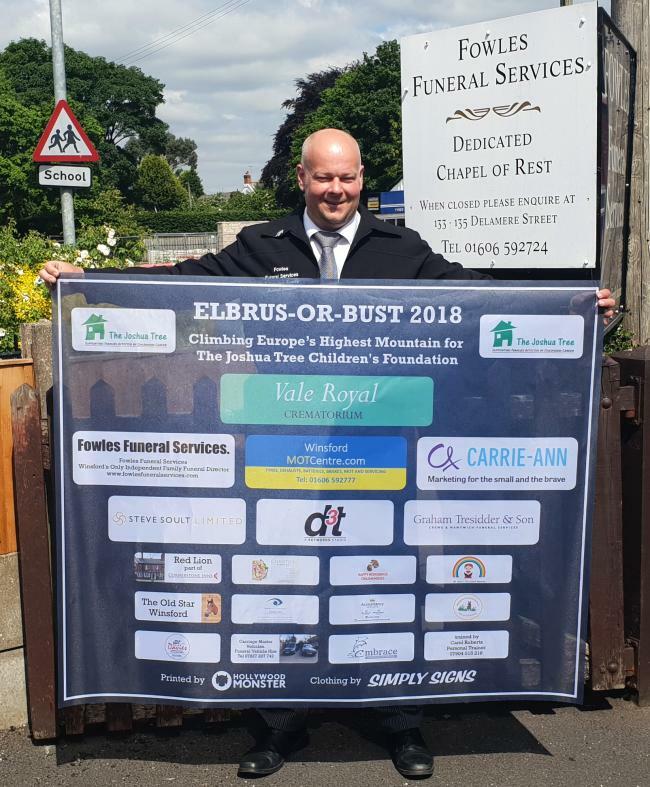 We’re happy to announce that we’re once again supporting Dave Fowles of Fowles Funeral services in Winsford with another incredible charity challenge, climbing Europe’s highest mountain, all for charity. He will climb over snow covered rocks and glaciers to reach Mount Elbrus’ 18,500 foot peak for The Joshua Tree charity, which is a local charity that does amazing work in helping children living with cancer. On Wednesday, June 20, he sets off to Russia for 10 days to complete the challenge of climbing one of the world’s Seven Summits which is being funded by the family business, Fowles Funeral Services, in Delamere Street. He has previously climbed Kilimanjaro in Tanzania and Peru’s Machu Picchu for charity. Upon reaching the top of the mountain, Dave will plant a flag with logos from the local and national businesses who have generously supported him. We would like to wish Dave all the best of luck! Unfortunately Dave wasn’t able to make it to the summit on this occasion, however he has raised lots of money for such an incredible charity and everyone here at CATS is extremely proud of him!